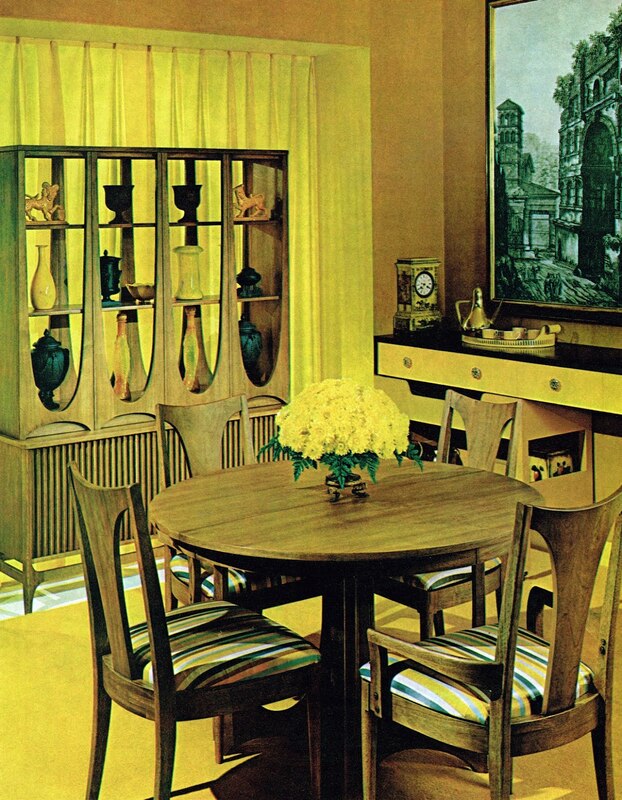 I happened upon these Broyhill Brasilia ads/images the other day. 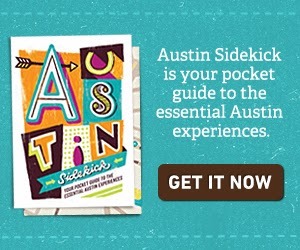 If you look in the background of this vintage ad, you'll see the Alvorada Palace. 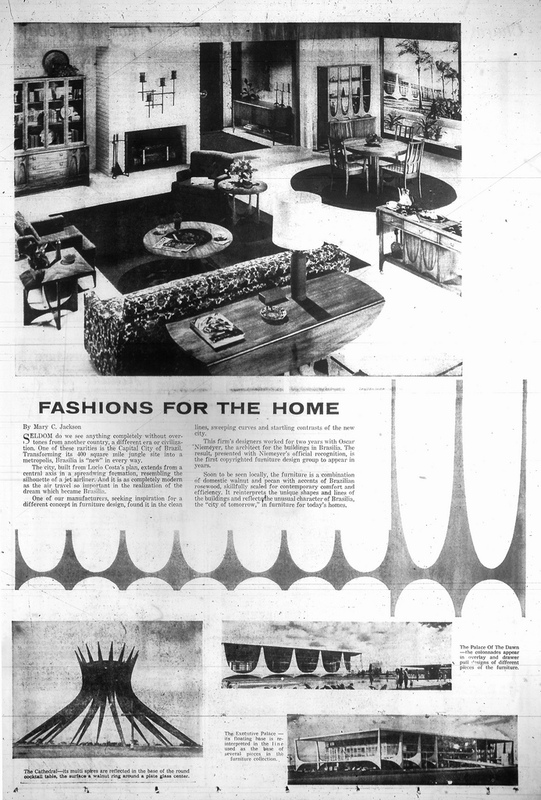 I like how this ad/fake newspaper article, which seems like an introduction to Brasilia furniture and might be from when they launched the line, includes images of the architecture from the city of Brasilia (which the furniture line is based on). Seldom do we see anything completely without overtones from another country, a different era or civilization. One of these rarities is the Capital City of Brazil. Transforming its 400 square mile jungle site into a metropolis, Brasilia is "new" in every way. The city, built from Lucio Coasta's plan, extends from a central axis in a spreadwing formation, resembling the silhouette of a jet airliner. And it is as completely modern as the air travel so important in the realization of the dream which became Brasilia. One of our manufacturers, seeking inspiration for a different concept in furniture design, found it in the clean lines, sweeping curves and startling contrasts of the new city. This firm's designers worked for two years with Oscar Niemeyer, the architect for the building in Brasilia. The result, presented with Niemeyer's official recognition, is the first copyrighted furniture design group to appear in years. Soon to be seen locally, the furniture is a combination of domestic walnut and pecan with accents of Brazilian rosewood, skillfully scaled for contemporary comfort and efficiency. It reinterprets the unique shapes and lines of the buildings and reflects the unusual character of Brasilia, the "city of tomorrow," in furniture for today's homes.